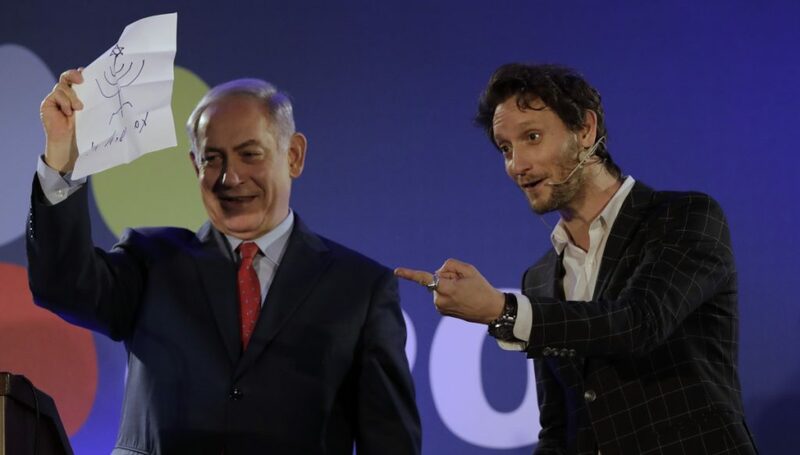 Lior Suchard comes up empty in a duel with the seemingly inscrutable Israeli leader. In one of his famous routines, Suchard asks his guest to scribble a picture on a piece of paper, while Suchard stands across the stage and draws an identical image. But when he tried the game with Netanyahu Wednesday, Suchard was unable to match Netanyahu’s doodle: a Jewish candelabra with the words “Long Live the Jewish People” underneath. Suchard often speaks to his guests shortly before they appear on stage – something that Netanyahu refused to do. 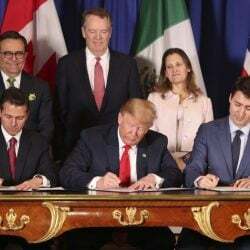 The Israeli leader, who has frustrated a string of world leaders with his tough stances on diplomatic issues, also drew his picture ahead of time – not during the exchange.